I am the funeral director handling the Funeral arrangements for Mr. Joe Sherman Vani. The visitation is on Sunday from 3pm until 6Pm at the Haase-Derrick-Lockwood Funeral Home 620 Legion Dr. Twin Lakes, WI. The Funeral will be held on Monday March 31 at 10am at St. Alphonsus Church in New Munster, WI. The family has asked that this info be posted so that Joe's friends and fans might see it,. If there is any other info you would need please contact me by phone at 262-206-1269. Give our love to Chester, and tell him we miss him! Some how I didnt know until last night of the death of our friend & fellow showman Lucky Larabee, our hearts, and deepest sympathy go out to Joni. Any time I observed a dressing room poker game, I made it a point to inform everyone that anyone playing poker with a guy named "Lucky", deserved to lose their shirt! 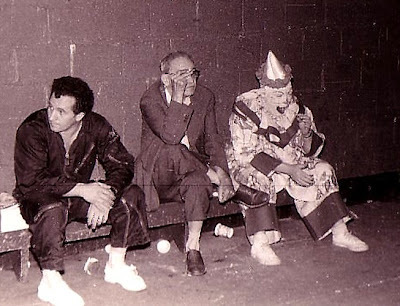 Joe Vani Sherman passed away this morning, Joe was a very dear friend for many years, and we will miss him dearly, but you can bet there'll be a hot time in "The Big Clown Alley" tonight. I have just received the sad news that Tommy Baker has passed away, Hopefully I will have details soon. Evidently the cause of death was a heart attack. Penny just forwarded this Sue Lenz email. Just a quick note to let you know some sad news. It seems yesterday morning Tommy Baker, son of the late Judy & Billy Baker had been working for the County in Sarasota and when he didn't show up for work they phoned his house, His wife answered the phone and said that she thought he had gone to work but would go an see if his car was still there, She then found him in the garden sitting /laying in a chair dead.......... An autopsy was done and it was determined that it was a massive heart attach, he was 56 years old and didn't have any health problems at all, he has a two & half year old son "Billy Baker"
Needless to say our hearts, & sympathy go out to Tommy's family. Since I am limited in the size of videos I can post, and some of the clips I wound up with in capturing from the tape I have were so long, I found it necessary to do a lot of editing, deviding clips into two shorter ones. Also sometimes due to timing in the tape, & my slow reflexes I chopped some beginnings & endings, so bear with me. Be sure to click the start arrow twice, and be patient with the dark screen, I chose to take my cue from the music rather than the picture. For some reason some acts were left out, such as the the Horse Riding Tiger, The Elephants, & Al's Lemon-Zine, maybe someday someone will come up with a more complete film. PRESENTING THE WORLD PREMIERE OF "CIRCUS AMERICA"
CIRCUS AMERICA #2: "LITTLE AERIAL NUMBER"
A mixed number of Single Trapeze, & Loop The Loops, with teen Trapeze Star, Lisa Bauer, and featuring Elizabeth Bauer's, "Leap Into Space". With Aileen Kay, Beth Nufer, Carrel Jacobs Kaye, Dolly Nock, Donna Wilson, Lora Patterson, Sandee Wallenda, & Trudy Wilson Strong. This display originally included Rex & Eva Williams' Mixed Exotic Act with an Elephant, a Camel, & a Horse, in the center ring, but some of the other animals took one look at that bunch, and said, "we're out of here". Since there was little or no rehearsal time it was decided for the safety of the animals & personel, to leave the Exotic Act out. 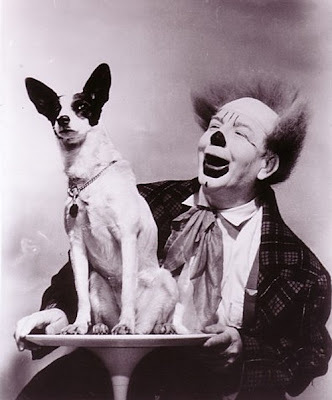 www.circus4youth,,,, (then click "features"), & there will be an article in "Bandwagon" soon, by Fred Pfening that promises to be much better. 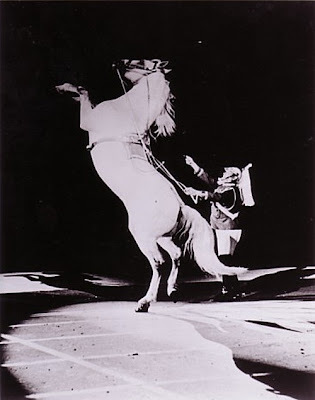 Someone commented on the blog once, "every time I see a copy of this act, it makes Victor look better". Once again it proves, it's not always the tricks!!!! 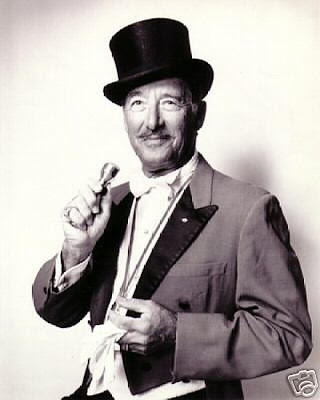 Victor Julian was another, "once in a lifetime", in the ring & outside of the ring. 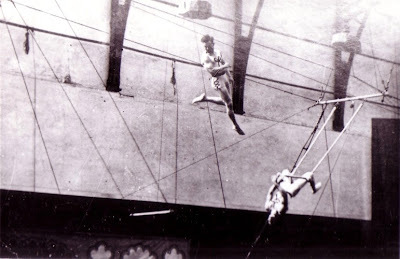 The Aerial Ballet included 32 Lovelies Ladies, on the Spanish Web, & featured Heel & Toe Trapeze by "The Incredible Arturo". That's Walter Stimax driving the Bathtub, and giving chase in the Fire Engine is Max & Grady Craig. This number was also to include The Quassars, but as I explain in the May 2007 post I was so busy with the show I lacked the time to finish the conversion of my rigging. 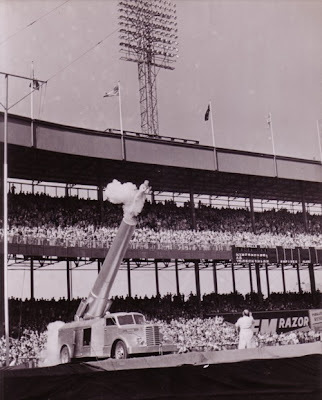 This act was put together especially for this engagement, and consisted of , "The Rock-Smith Flyers"--&--"The Flying Astros". This was a great number, with seven poles lined up on the track, it is a shame whoever filmed this didn't get more footage. Paul Creason has been retired from the business for many years so many of you probably don't know him. 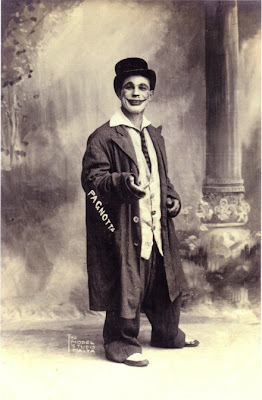 He dates back to the late 1950's on the Gil Gray Circus. 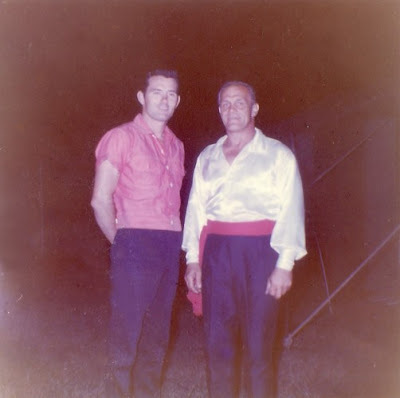 He was also one of my Ring Bosses on Circus America. 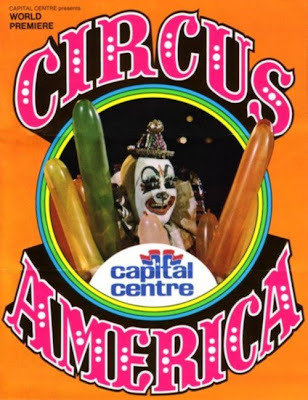 You will find more information on Circus America, including still pictures, notes, & the complete original line up, in our archives,(Thus. 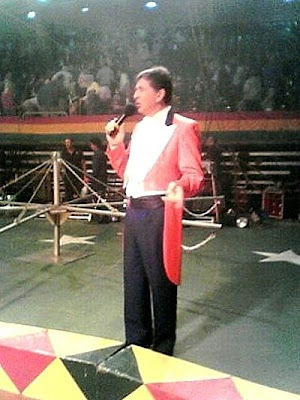 May, 03, 2007), or simply by typing, Circus America in the blog search bar. 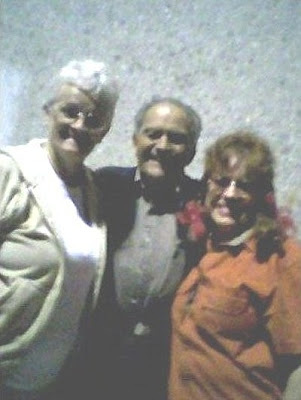 A PHONE CALL FROM JOANNE AT THE "FOLLIES"
Joanne received a welcome surprise visit from long time, dear friends Antar & Beverly Wazzan. They were enroute to San Diego to embark on a cruise celebrating their 50th Wedding Anniversary. You see, in spite of the song, some people do stay together, "that's what forever is for"! They need to put a flash on phone cameras. I received the following email from Tavana during the night. 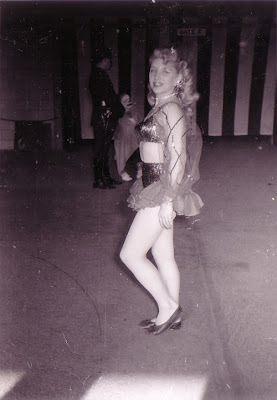 Just wanted to let everyone know that Danny's mom, Doris Fonner, died today at the age of 80 after a brief illness. She used to assist him in his hand balancing and rola bola acts. Our deepest sympathy to Danny. 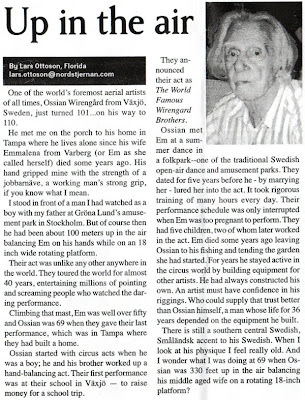 Those of you who remember The Wirengard Family, and their revolving aerial act might be interested in knowing Ossian just celebrated his 101st birthday. 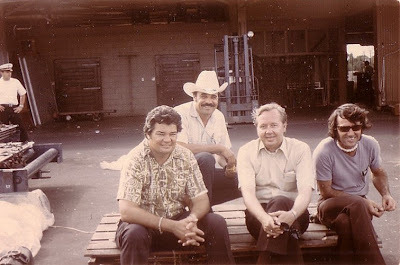 At Don E. Johnson's in Seagoville, 1985. After moving Heaven & Earth, we got permission to land a Pa-Am,747 in Hilo to load the show, it saved the animals from making that long barge trip back to Honolulu. This is in our front yard in Gibtown. This was for the Christmas Parade in Disneyland 1985. 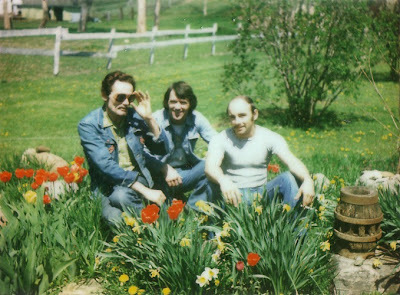 Sitting in the rock garden at Circus Farms,,,,,,, And no wisecracks!!!!!!!!!!!!!!!!!! The first job David did in the film industry was "Firestarter" starring Drew Barrymore, Martin Sheen, & George C. Scott. 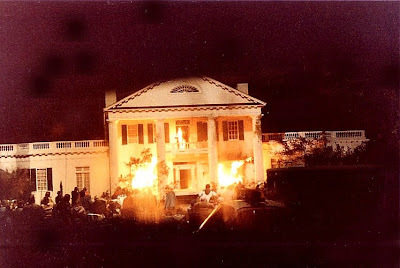 One of the final scene was for a big plantation house(actually a full scale model) to catch fire during a big gun battle. 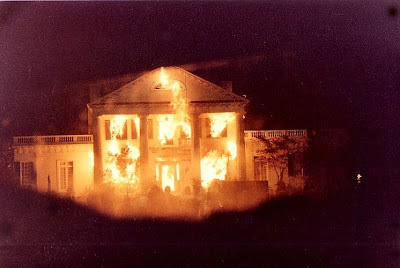 The fire was really just propane torches in the windows, however when the director felt he had enough footage he yelled "cut", and the special effects crew went in to turn off the fire. 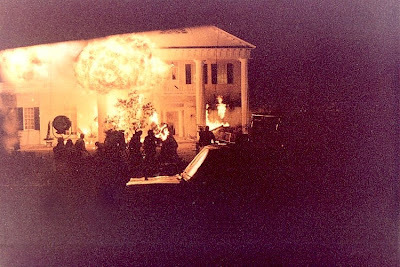 Ten seconds later they came running back out, the house had caught fire & was beyond being put out, I guess they got a lot more footage than they needed. IN MEMORY: TONY SMAHA JR.
Antonin Joszi Vinicky "Tony Smaha," of Baraboo, passed away on March 6, 2008 at the University Hospital in Madison after a long illness. 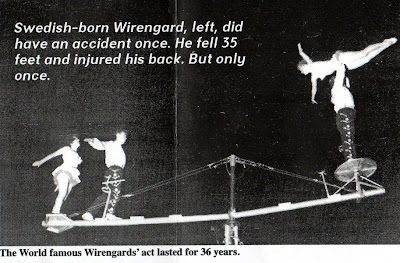 Tony was born on May 21, 1949, in Shrewsburg, England, the son of Antonin and Ingeborg (Luda) Vinicky of the Bertram Circus. 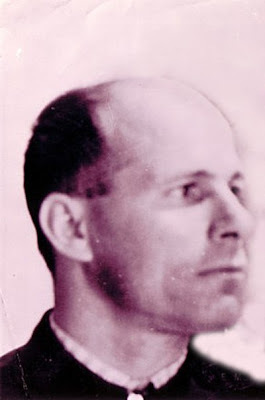 He received 20 pounds from Queen Elizabeth because of him being born around the same time as Prince Charles. 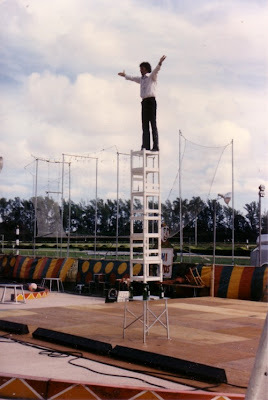 Tony was raised in the circus life, and in 1950, he and his family moved to Australia and performed with the Wirth Circus. 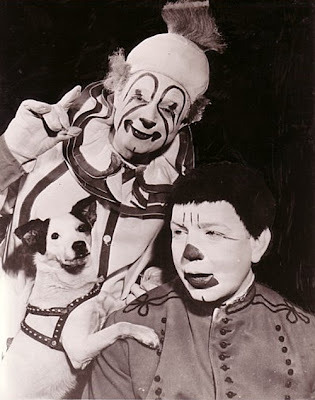 There, Tony began performing as a clown at the young age of 2 1/2 years old. 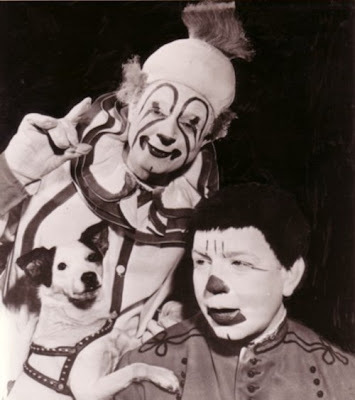 In 1955, the family came to the United States with the King Brothers Circus and in 1961, arrived in Baraboo through Wilbur Deppe and his "Old Time Circus." 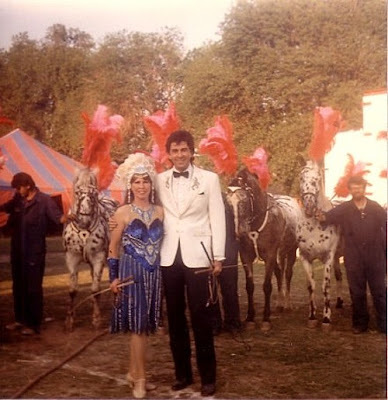 Tony became a fifth generation performer and began showing horses and elephants at the Circus World Museum. 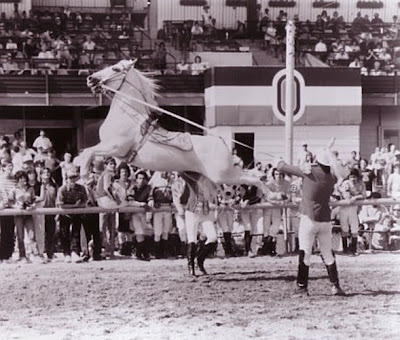 Throughout his life, Tony performed with circuses in the United States, Canada and Mexico with many of his highlights being presented on the Jackie Gleason, Ed Sullivan and the Royal Lipizzan Stallion Show. He made Baraboo his home when not performing on the road. His hobbies included the outdoors with hunting, fishing and visiting with friends. Tony was a member of the Baraboo Masonic Lodge #34 and honorary member of the Midian Shrine Temple. He was well liked by everyone who knew him and he will be dearly missed. Survivors include his mother, Ingeborg Vinicky of Baraboo; ex-wife and friend, Susan Hillmer of North Freedom; his Lipizzan Stallion, Maestoso II Dixie, and his Yorkie dog, Tiffany. Tony was preceded in death by his father, Antonin; and two brothers, Pero and Jenda. In celebration of his life, a memorial service will be held at 7 p.m. on Wednesday, May 21, 2008 at Circus World Museum, 550 Water St., Baraboo. 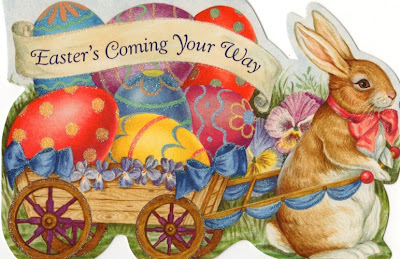 In lieu of flowers, memorials may be directed to the Circus World Museum. The family would like to thank the doctors and staff at St. Clare Hospital, St. Clare Meadows and the University Hospital in Madison for the wonderful care given to Tony during his illness. The Rago-Baldwin Funeral Home is assisting the family with arrangements. I hope this one doesn't get sloughed before anyone sees it. "AND THEN THERE WAS ONE"
In 1991, I decided that I needed some dogs to make another act, It had been years since I had a dog act. I was working my elephant "Susy” on the Williams-Althoff Circus in Tampa at the time, and I mentioned around that I was thinking about getting some dogs. 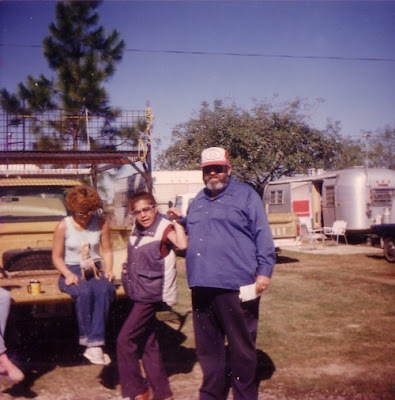 Evy Karoly had come up from Sarasota for the date, and was parked on the other side of the tent, when she heard what I wanted, she said go look in her horse trailer. There they were, the future "FABULOUS BROADWAY POODLES” (later named that by Lee Stevens), 4 white noses sticking through the slats, I said oh no, I don't want poodles, well, maybe just 4.They were just old enough to start training, however I was still on the road with the elephant, so I ask Evy if she would come to my house and train them for me, I told her what tricks I wanted and she went to work. I named them Leigh, Phil, Dusty, and Michell, I felt 4 large poodles would be enough to fill the ring, but I made a mistake and went to the circus flea market, someone had brought a 7 month old black standard poodle to sell, and I thought it would look nice with the black dog in the center and 2 white ones on each side, so Chris came home with me. “And then there were 5”. 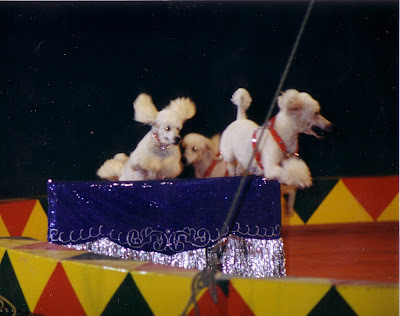 They made their debut on Phils Brothers Circus in the summer of 1992, but before I left to go on the road Evy said she had 3 more puppies and I should take them, so I loaded them up, “And then there was 8”. These dogs I named Annie, Bela, and Hines, I let the puppies grow up that summer and trained them that winter. I did the next season with 8 dogs but again the pyramid was off center, so I called Evy and said that I need one more poodle. One day she stopped by with 2 dogs and before I could decide which one I wanted she said "Gotta Go, Bye", I yelled after her that I only want one, “And then there were 10”. I named these two David and Patty I only worked 9 dogs, but trained number 10 as a spare. 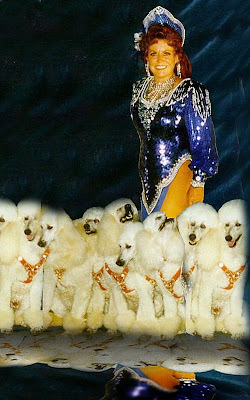 Having 10 standard poodles was quite an experience and a lot of work. 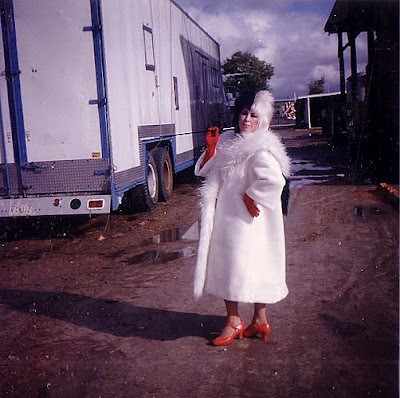 I worked the Swap Shop one time and while I was grooming the poodles, Vicky Hannaford said "I can't believe you traded the elephant for the poodles. They are so much work". She was right, but less stress, at least I can go to town and not worry. There are so many stories about these dogs, like the time when there were 5 and they went out the back door and just kept going. The only one available to go get them was my sister Linda and she clocked 21/2 miles, she made it back just in time for her act. And the time I forgot to hook the fence when I went in to run them, before I noticed it, I had let 5 out, and away they went. We were in a residential area of upper class homes built in the rolling hills. Oh what fun, "Linda, come help me catch the dogs." She forgot her shoes. Oh well, the lawns were beautiful. 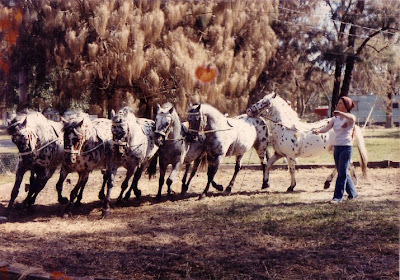 One day there was an abandoned tennis court near my trailer so I thought it would be nice to put them inside an let them run around for a while, fifteen minutes later they were still running full speed around the track, so I ask Linda to help me get them home or they wouldn't be able to walk the next day. Sure enough, they were all to sore to work for 4 days!!!! Then there was the time I did hook the fence to let them out in the building in Evansville, Ind. But the dogs played so hard they knocked the snap on the gate lose, and away they went, out of the building, up the ramp and across the parking lot towards the freeway off ramp. My daughter was in the restaurant by the ramp and saw the dogs running towards her, she said, "That looks like my moms dogs, oh my gosh it is her dogs", running out to help with the capture. By that time I was sprinting across the parking lot with leashes in hand, screaming, come here, come here,(not knowing any names as all white poodles look alike running the other way at 40 miles per hour) They finally heard me and ran to me, talk about stress, my elephant never ran away. In 1996 the black dog Chris got Addisons disease, and was on pills until the pills no longer worked so he left me. “And then there were 9”. 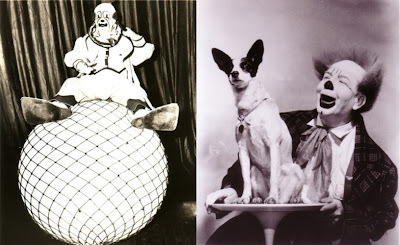 These dogs made my living for all of those years, They never missed a show, not one dog, they took me all over America and twice to Puerto Rico, working with shows like Phils Bros., Alain Zerbini, Barry Yiengst, Dave Dueck, Jesus Segera-Puerto Rico, Billy Martin-Big Top Circus, Billy Martin,Cole All Star Circus, Sarasota Festival, Puerto Rico-Oriental Productions, Tarzan Zerbini, Joe Baur, Royal American Circus, Dubski Circus, George Corona, Tommy Hanneford, Ray Valentine, Swap Shop, for George and Vicky Hanneford, Wallenda, Paul Kaye-Evansville, IN, two movies and a documentary. We toured from 1992 until 1999, and we did dates until 2003, by then the dogs were getting old, they were 12 years old and were starting to feel the effects of big dogs traveling and working. Their age was starting to take a toll, and they started leaving me. Not wanting to add young dogs to that act I just stopped working them. They were so good to me in those working years, that I wanted them to relax until the end. One by one they left until Patty was the only one left, and she was doing fine until last week, and on February 28 she left me, at the age of 15. Where does the time go? Rest in peace my dear friends. If tears could build a stairway and memories build a lane, I'd walk right up to heaven and bring them home again. Leigh, Dusty, Chris, Michelle, Phil, Bela, Annie, Hines, David, and Patty. 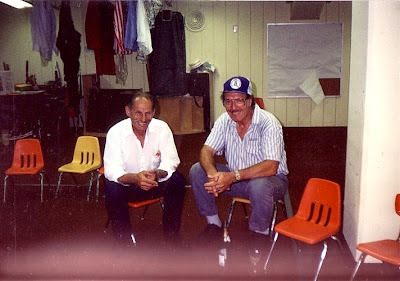 This is Gene Hamid Jr. & Frank Galambos Sr. on the Hamid-Morton show 1992. This one by Alfredo Codona! 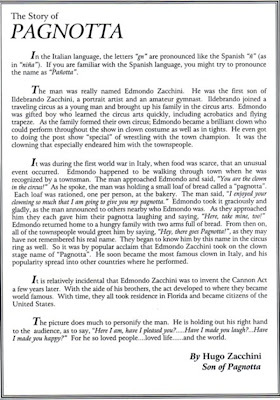 This was scanned from a reproduction dated 1970.